Sterling silver and sea glass necklace. Each is individually handmade in Cornwall using a piece of sea-worn green glass. 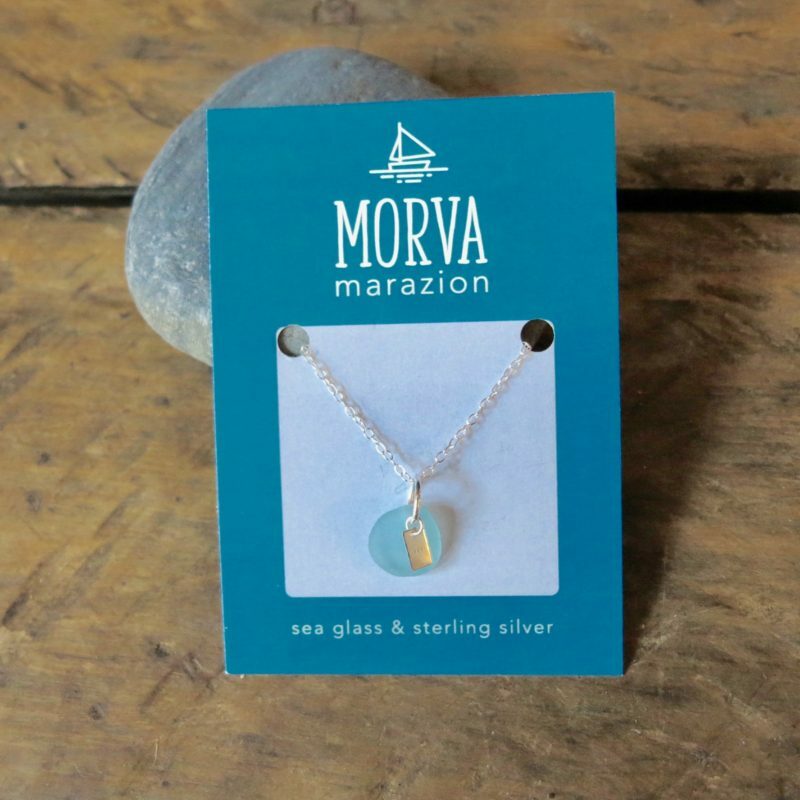 The sea glass measures between 10 and 15mm and is hung from a Sterling silver jump ring with a small tag on an 18 inch silver trace chain. Each piece is individually made so maybe differ slightly from the photograph.